To accommodate our patients, we offer the following information about our policies concerning fees, insurance, patient accounts, and payments. Please discuss any questions or concerns with our office manager. Our fees are structured in an effort to keep orthodontic fees down while maintaining the highest quality of professional care. 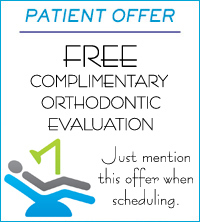 We abide by accepted dental plans fee schedules, as well as our own set fees. When your accept treatment in our office, you agree to be financially responsible for the entire fee, independent of insurance coverage. Flexible payment arrangement is available. Since we set a scheduled time for each patient, if an emergency arises, please give us 24hr notice. If your appointment is cancelled without prior notice (24 hrs) a fee will apply. We accept most major insurances, and our office is happy to file insurance at no charge to our patients. All claims are usually filed within 24hrs of your visit. Our office will verify your insurance coverage to advise you of your benefits. All claims are filed according to the American Dental Association (ADA) guidelines. Co-payments and deductibles are due at the time of service. We will be delighted to estimate your benefits and your payment due prior to treatment. At this time, a flexible payment plan can be arranged. Please feel free to ask our staff if you have any questions.